Running a business is a full-time job. As a business owner, you’re required to balance multiple tasks every day and the truth is, there are probably a few elements of your business you know need reevaluation. One common problem area businesses owners struggle with, is their phone system. Dealing with telecommunications providers can be a slow, arduous cycle of calling your provider, waiting on hold for hours, being transferred over and over, when all you’re trying to do is streamline your communications. Of course, finding the time to research new solutions, selecting a vendor, overseeing the installation and project management take time that could be spent keeping your business profitable and making your customers happy. On the other hand, a properly designed phone system will make communication easier for you and your customers and help you diagnose larger business issues in your internal communications and customer service channels. Nothing shows your customers that you’re reliable and easy to work with like a streamlined, professional communication. 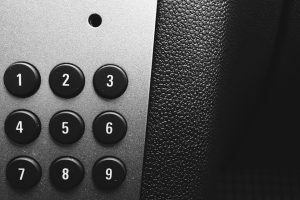 Here are some questions to ask yourself before reaching out for a phone systems consultation. As beneficial as technology is, it also has a bad habit of becoming obsolete. If you’re able to monitor your IT assets and update your software and hardware regularly, you have nothing to worry about. For a business owner, staying up-to-date on the recommended life cycles of your equipment can be time-consuming. Partnering with a third-party vendor to help standardize your software applications and keep your technology fresh and secure. As your business matures, a third-party will also help you determine if your materials are better updated or replaced. Would new technology make your job easier? The world of business phone systems has changed radically in the last ten years. It’s no longer necessary for employees to be tied down to phone lines. Instead, services like Voice Over Internet Protocol can relay calls to cell phones and automate call forwarding so you and your team can take calls from anywhere. Likewise, VoIP allows calls to integrate into emails with options for voicemail-to-email which sends a transcript and recording of your voicemails to your inbox. If you’re still relying on dated technology to run your business, you may be allowing unnecessary hurdles to slow you down. A telecom consultation would provide you with opportunities for quick wins to increase your efficiency as well as give you an idea of how you can develop your materials for your future business goals. Are your customers getting the best experience with your current phone system? Effective communication not only assures customers that you are reliable and trustworthy, it will contribute to higher conversion rates of new leads. In today’s technology climate, customers expect timely responses, sometimes beyond normal business hours. Simple upgrades to your communication’s systems can help you receive calls outside of the office even during non-traditional business hours. Furthermore, modern phone systems provide unparalleled call quality with crisp high-definition sound and connections that are more reliable. So you don’t have to deal with poor quality or calls to be dropped unexpectedly. If you’re interested in creating a crisp, simple experience for your customers, a telecom assessment will help steer you in the right direction for opportunities to update your approach. Today, business owners must consider dozens of communications solutions and twice as many vendors hoping to sell you their latest and greatest products. However, every business’ needs are different, so you can’t rely on a one-size-fits-all approach to upgrading your business phone system. Bandwidth Simplified takes a different approach. We begin by assessing your business to understand what updates you need or could benefit from and we provide several plans to illustrate your best opportunities. Once a plan is selected, we take all the work off your plate and oversee the entire project from start to finish. From ordering and installing hardware to managing vendor relationships, Bandwidth Simplified is a full-service business communications provider. We aren’t interested in selling you the newest products, we’re interested in preparing your business for success and growth. Our customer-focused approach offers our clients a single point-of-contact who works with you to build a communication solution tailored to your business. We work with 8×8, Vonage Business, RingCentral, Comcast, and more. If you’re interested in upgrading your communications system but don’t have the time to plan and prepare an entire business initiative, check out our business assessment form, we’ll make it easy on you.